In a crazy bit of fan-subbing news, it looks like the amazing teams at Henshin Organization and Hikari-Senshi Fansubs have teamed up to deliver all 50 episodes of Gosei Sentai Dairanger in one glorious burst. Usually, subs are released week-to-week (if you’re lucky), and take all sorts of time. Plus, they give you the choice of MKV softsubs, AVI hardsubs, AND script files you can edit with the right software. Truly an amazing show of talent here. 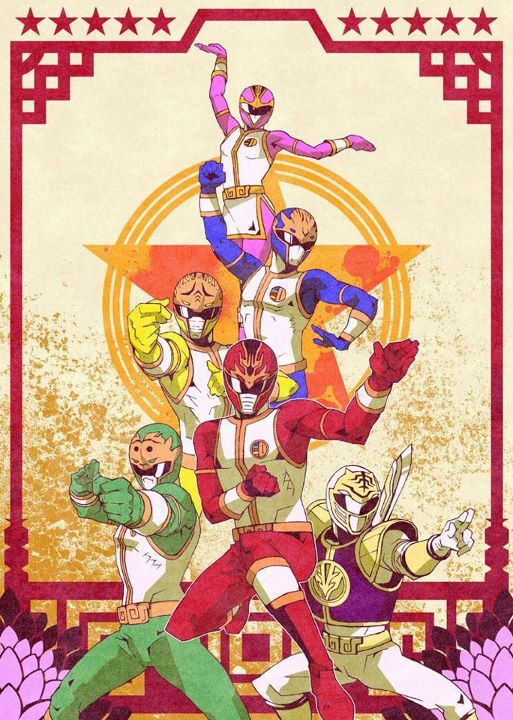 Dairanger is notable for being the source of material for the second season of Mighty Morphin Power Rangers. Saban, the company creating the American adaptation, wanted to keep the Zyuranger costumes and props, so they only adapted the mecha (Zords) and the sixth ranger, Kibaranger. Geek Crash Course is the home of all your geeky informational needs. Want to learn about comics, science fiction, video games and more? We're your geeks! This entry was posted in Currently Geeking and tagged dairanger, fansub, japan, power rangers, subbed, super sentai, TV. Bookmark the permalink. 4 Responses to All of Dairanger Subbed! Oh, and you guys keep up the good fight too! Awesome. I hope your comp can support the movie. It seriously looks fantastic in Blu-Ray. Only actual “problem” I have with it is the fact that you can see the strings on Ryuuseioh/Ryuuseou/Dragon Star-Lord/Sally (whatever the hell people call it nowadays) because it just looks that good.